Exploring unpaved high alpine roads can be rewarding. And one can discover some very big “unknown” climbs. 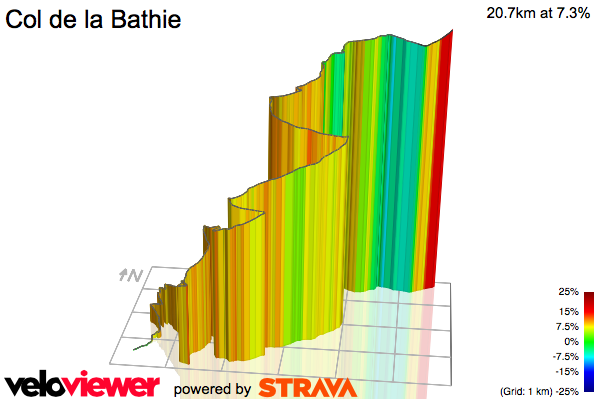 South of Albertville, as the autoroute heads into the high Alps towards the big French ski stations, I knew there was a paved climb for roughly 12 kilometres starting from Bâthie. 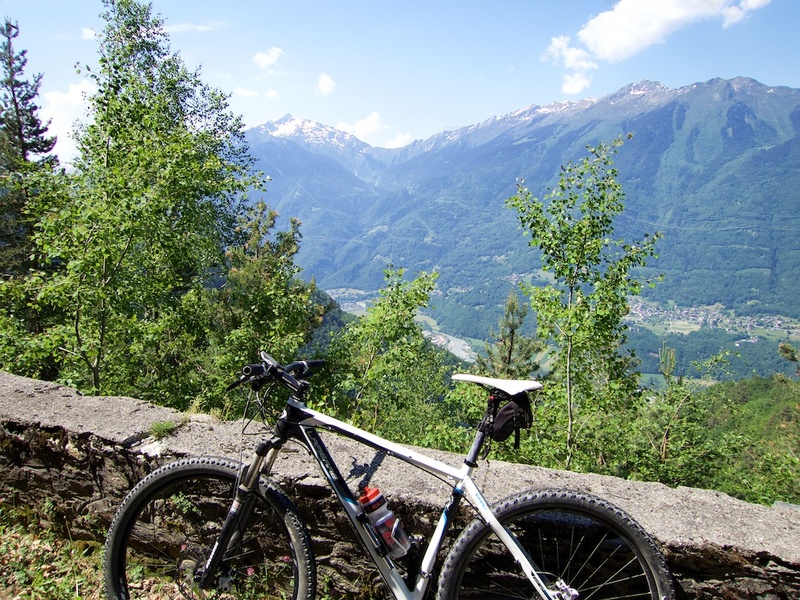 But looking closely at an IGN map it seemed there might be an unpaved road going higher – perhaps all the way to Col de la Bâthie. 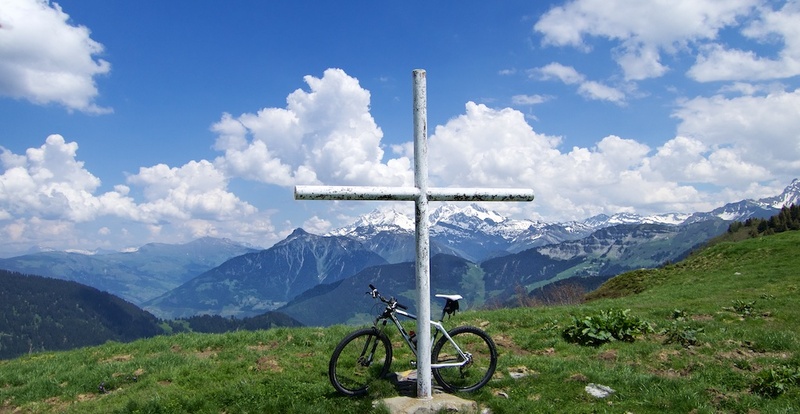 I decided to have a look, bringing my mountain bike in hope. Much of the route hairpins up the side of a mountain on a road of mediocre but adequate quality through a light forest. After perhaps 10 kilometres are a handful of chalets, but overall it’s a super-quiet route. Difficult, but relaxing. At perhaps 1300 metres the paved road splits. The other direction – I believe continues “paved” until roughly 1580 metres. I was out of water and tired so decided not to have a look. The paved road ends at less than 1500 metres of elevation. It becomes a wide but bumpy, rocky road. As I kept going higher I became hopeful that I might reach the col. At the Chalets de Bellachat (1817 metres) I exited the woods above the tree line and was rewarded with a breath-taking view of the Col far in the distance, with snow Alps just behind (top photo, and photo below). And I could clearly see a road to the Col – wooohooo. From here it was rougher, but most of the climbing was done. It’s a very fun ridge road bending around the valley below towards Col de la Bâthie. A short descent to the Chalet du Soufflet and I was almost there. 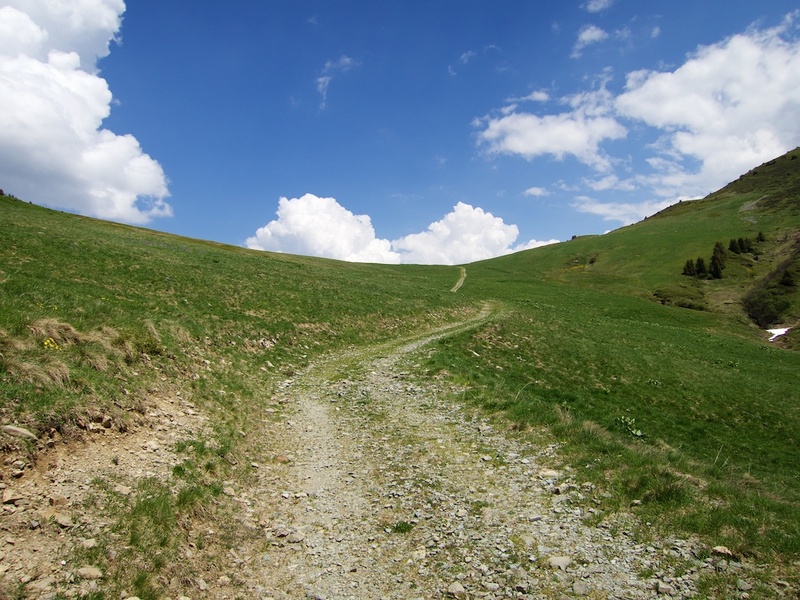 The last few hundred metres are very steep, but not technical or dangerous, just an alpine field. There was a nice bespoke Col sign as well as a big cross at the summit. The views of the Beaufortain beyond were a nice reward for the effort. The road ends here although there are various hiking trails in different directions. But going over-the-top of the col on a bike didn’t appear to be a safe option. So I just turned around and enjoyed the 20 kilometre descent. This is a big climb. But so quiet. 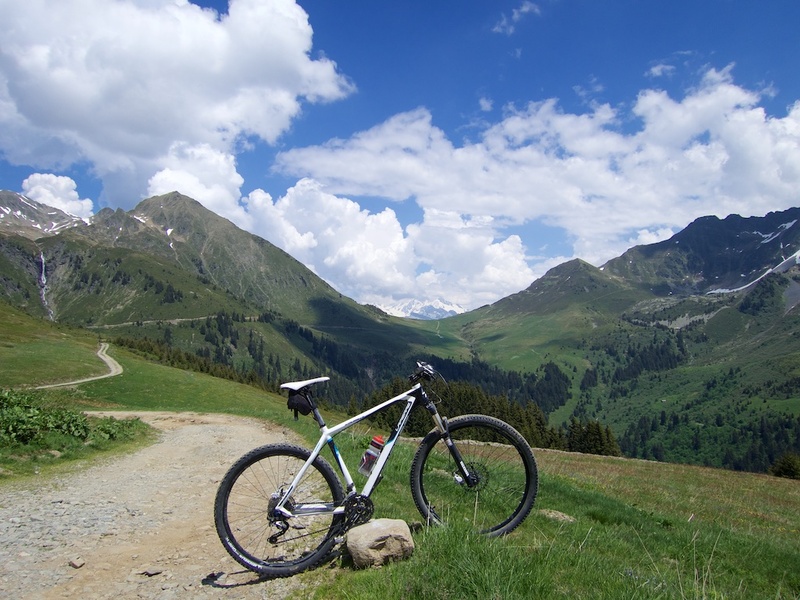 And bring a mountain bike as the last few kilometres are easily the highlight. I love your website/blog and have found it very useful for all the climbs I’ve done, I particularly enjoyed my trip up to Pic du Midi de Biggore that you suggested. I’m another who loves lists and I was wondering if you were planning of making a comprehensive simple list of all the climbs that you’ve done. The french alps maps are very helpful but due to the overlap in the climbs between them (normal and south alps) I’ve found it hard to be able to tick climbs off if you know what I mean. I would love just a simple text list of all the climbs you’ve done so I can use it as a basis for a checklist for myself. If this is not possible or you don’t feel like it don’t worry what you have on the blog is brilliant anyway! Hi, excellent. 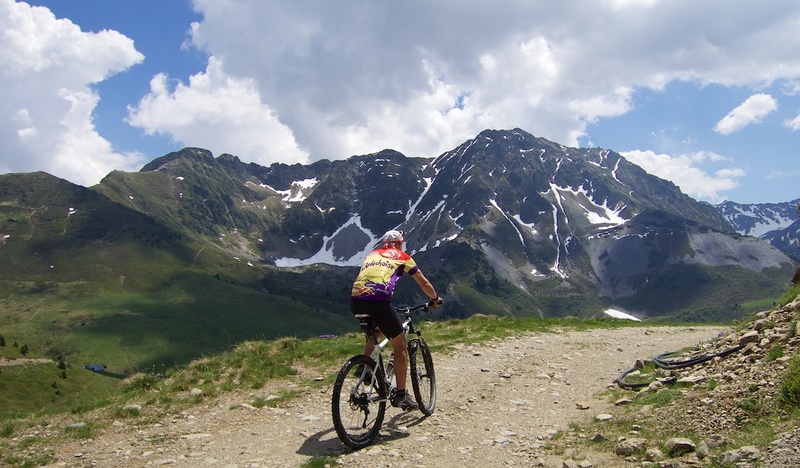 Pic du Midi de Biggore was one of the funnest days I ever had on a bike. Look in the side bar of the front page and click on “climbs list.” Is that what you are looking for? Thanks, brilliant just what I was looking for. 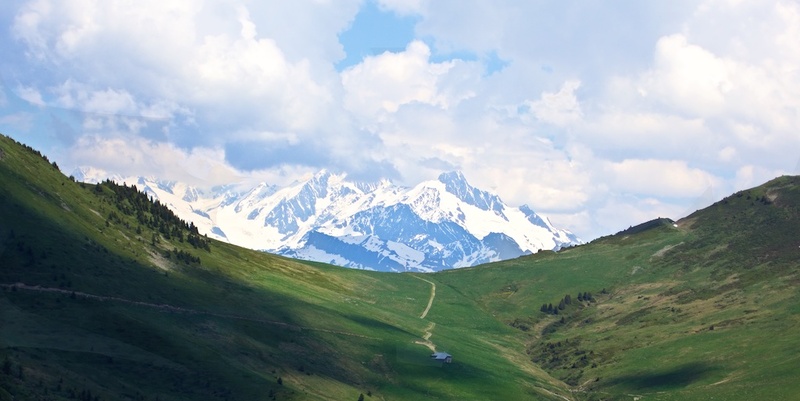 Have you climbed the Port de Pailheres in the Pyrenees. 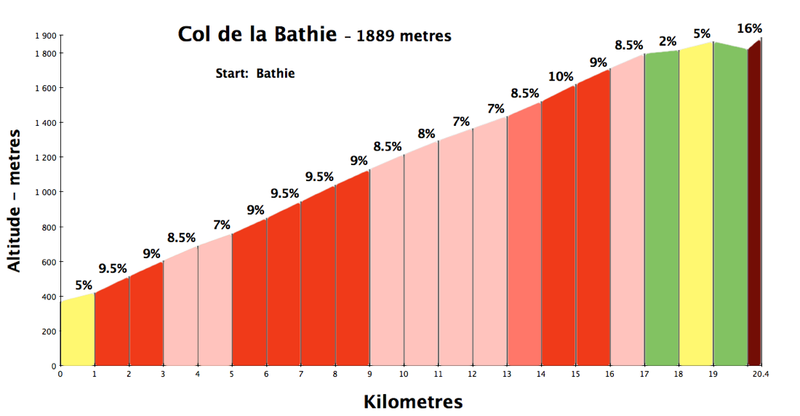 It’s one of the highest road passes in the Pyrenees at 2001m and is a nice climb. I did it from Mijanes and is about 10km long with 8% average. It was very quiet when I did it and some of the scenery at the top was lovely. Although not a favourite it is worth doing if you haven’t. (I think they used it in the 2013 TDF). Tom Buckley formerly from Logan? what a pity not to have continued on the path up … it’s a road that was closed after the work done in the ski resort of Arêches. 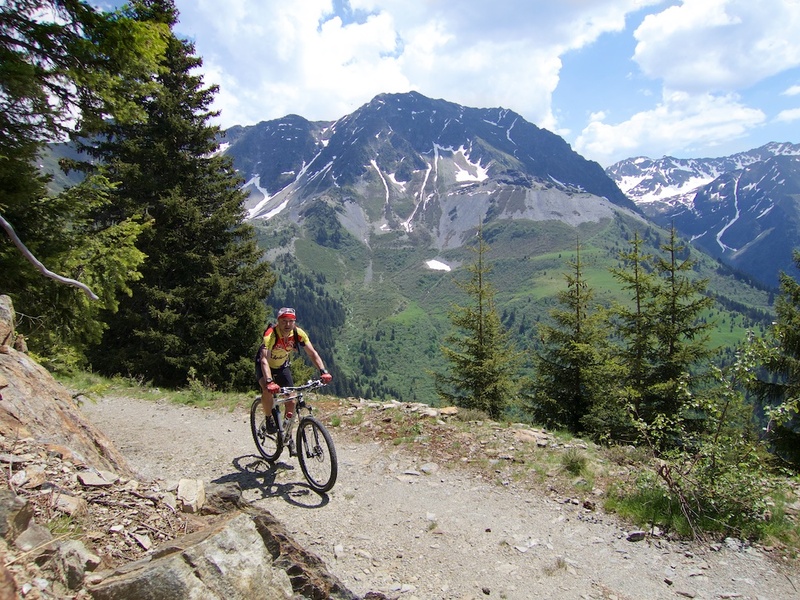 After a few hundred meters to walk… downhill to arêches is just beautiful! Many thanks for your website which is a constant source of inspiration. hoping to have the pleasure to see you one of these days on an unpaved road!